I only rarely do product reviews, but getting a new Android device is always a good excuse. Recently, my trusty Huawei Ascend G610 smartphone broke – actually for the second time, because the first one I got in Spring 2015 bricked itself in December of that year and I had to get a warranty replacement. I still have a second identical phone as a backup, but it was finally time to look for something new and replace those ancient devices which still run Android 4.2. My main concern was finding a comparable inexpensive smartphone in the same sub-100-Euro price range, something that Huawei doesn’t seem to offer anymore. 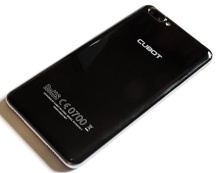 But I found a great alternative in another Chinese company which manufactures phones unter the Cubot brand with good hardware, recent Android versions and really fair prices. 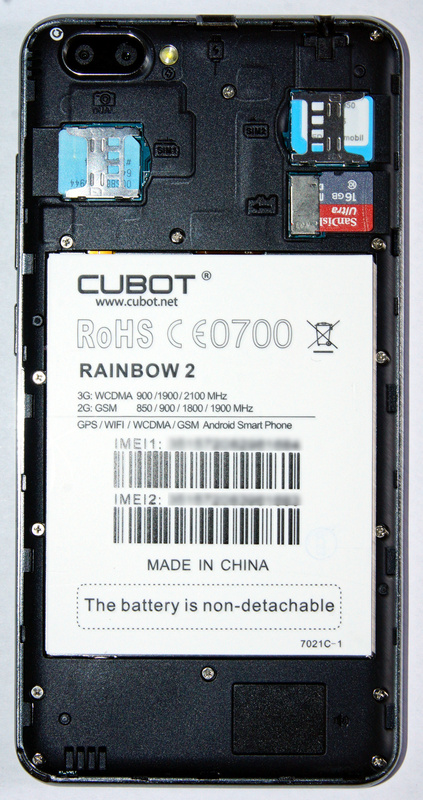 Cubot has a couple of phones that are priced under 100 Euro in Europe, but I chose the Rainbow 2 because it had the best reviews and I was looking for a 5” phone with dual sim capability and a good camera – and for only 85 Euro it was almost to good to be true. There is actually another model from Cubot’s budget brand called Hafury Mix which is even slightly less expensive and basically seems to be the Rainbow 2 without the dual camera, but I only discovered this after I bought the other model. I was understandably skeptical that this phone could really deliver the goods at this low price, especially because it was a recent model and not even marked down – but I didn’t have to worry much. The Cubot Rainbow 2 comes in a nice golden box that has just the company logo on the front and the specifications on a label on the backside. It only contains the phone, an English-only language quick manual, an meter-long USB cable and an USB charger that outputs the usual 1000 mAh – this is the usual generic charger and the phone can be charged over USB on any similar one that outputs the same current. Headphones are not provided, probably to keep the costs down, but the phone does have the usual 3.5mm headphone jack. The only other extras are the display protector foil and a clear silicone bumper protection shell, which is very welcome since the phone is still so new that not many companies have matching accessories. The phone looks surprisingly sleek and expensive – it’s available in several different colours, but out of habit I got the black one which looks very shiny and elegant even inside the clear silicone protector. The edges have been slightly rounded off, even the display glass (of course not the display itself) is slightly tapered off at the sides where it joins the case. A silver aluminum frame encloses the phone on the sides and the back looks actually very solid until you have to take it off to put the sim cards and memory card in, when it reveals itself to be out of slightly rubbery plastic. The glossy finish makes the phone nice to hold, but that has the usual downside that it attracts fingerprints like crazy. Overall, this is a very elegant phone that doesn’t betray its low price from the way it looks at all – it really has a slight iPhone-esque appearance. The 5” screen is the biggest surprise on this budget phone. The screen glass is called 2.5D because it’s slightly rounded off on the edges, but while it’s probably not real Gorilla Glass, it still looks very elegant and comes with a screen protector foil already installed. The resolution of 1280×720 has a solid 294 pixel-per-inch density that is high definition enough at this screen size that it’s hard to make out any individual pixels without really getting close to the screen. It’s, however, not the resolution, but the incredible maximum brightness of this display that’s very surprising – even in full sunshine, the screen remains still bright enough to be perfectly useable, something that was definitively not the case with my older Huawei phone. It’s also very bright and clear from all angles and the colour reproduction is especially stunning without any noticeable tint. The three Android Home, Back and Menu buttons are located as capacitive hardware buttons below the screen, so they don’t take up valuable space. The buttons are not illuminated, but are as touch-sensitive as the display itself. Like on many newer Android devices, the back and menu button have been swapped here, so it’s going to be very confusing if you’re still using other older Android phones or tablets at the same time. There is a notification LED on the top left of the screen, but its only colour is blue. The power button is located in the middle of the left side, while the volume whip sits above it – this is, again, swapped around from earlier Android devices. 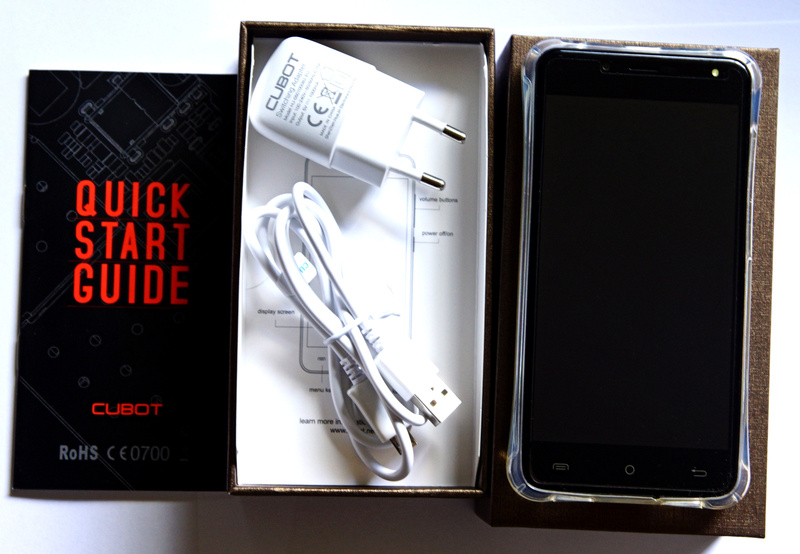 The Cubot Rainbow 2 operates with one of the usual Mediatek chipsets under the hood which are employed by a lot of budget phones – here we get the usual 1.3 GHz quadcore ARM Cortex A7 processor, which is absolutely fine and fast enough for the casual user. There is only 1 Gigabyte of RAM, but that should also still be enough unless too many memory-intensive apps are running concurrently. But even with my usual heavy load of apps installed, I have yet to run into any memory-related problems – maybe because I switched the DuraSpeed option on, which allows the phone to restrict background activity of less important apps. Just be sure to include all the important apps in the whitelist and the Rainbow 2 will run as smooth as a phone ten times its price. 16 Gigabytes internal filespace, of which about 11 GB are available, are generous enough, but there’s also a MicroSD card slot which can reportedly take memory cards up to 256 GB, basically providing endless space. The phone does not support moving apps to the SD Card, but that doesn’t mean you can’t put other files on an external card like books, photos and videos. The Rainbow 2 does, however, support full write access to the external card thanks to the newer Android system with individual permissions. Compared to my Lenovo A7-50 tablet, which has about the same specifications, the Cubot Rainbow 2 feels a little bit faster and more responsive, which may be partly due to the better working Android version. It tends to slow down after running two or three days without restarting, but an occasional reboot can fix that easily. 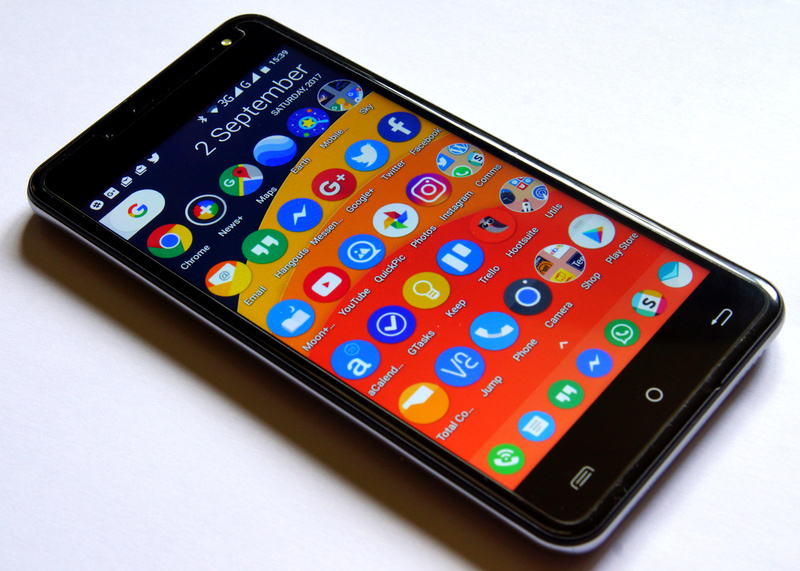 A fully loaded Rainbow 2 can take an unusually long time to start, though – but that seems to be the case with almost all Android phones nowadays. The cameras are a little bit of a mixed bag because the supposed resolutions of 13 megapixels on the back camera and 5 megapixels on the front are actually interpolated from 8 and 2 megapixels. The dual-camera gimmick with the second 2 megapixel sensor on the back is also just that, an useless feature to create a blurry background that only works with the very limited stock camera app. The lens has a surprisingly wide angle corresponding to about 25mm in 35mm terms, something that I had not anticipated on a smartphone. The autofocus is surprisingly fast and accurate, but it depends on which camera app you use. The LED flash on the back of the camera is also surprisingly powerful and can be utilized as a flashlight too. The quality of the main camera is decent if it’s limited to its native 8 megapixel resolution, but of course can’t compete with bigger cameras. On first glance, the photos look fine, but closer inspection reveals a lot of digital noise and artifacts even in lower ISO ranges that only reduce when the The automatic white balance is also somewhat problematic, often resulting in far too blue and undersaturated images. Manual white balance and increasing the saturation in the stock camera or a replacement third-party app can fix this easily, though – and with a bit of post-processing the photos are certainly usable for screen display. The phone also records video up to 1080p, but 720p looks the best – the quality can’t quite match a bigger camera here either , but it still looks good enough for casual video recording. The front camera with its 2 megapixel native resolution has no autofocus and is just a decent selfie and video chat camera. The specifications say that it supposedly can only take 640×480 video, but I’ve tried it out with Google Hangouts and Skype and the resolution looks actually much better than that, so the quality for video calls is okay if you don’t expect high definition. Overall, the cameras are above average for an extremely low budget phone and fine for casual photography and video calls – photographers might be disappointed, though. The Rainbow 2 has two speaker grilles on the lower end, but one of them is actually a dummy – this phone only has one main mono speaker in addition to the phone speaker on top of the screen. It’s fine for basic voice playback and notifications, but don’t expect any hifi quality from it. This is, of course, a very small and tinny speaker, but it can be really loud if it needs to be, so it’s a very useable alarm clock you can hear from two rooms away. Despite the tinny sound, the speaker hardly distorts at all even at higher volumes. The way to listen to audio on this phone is, of course, either with headphones or a bluetooth speaker – there’s still a four-conductor headphone jack on this phone that can take a normal 3.5mm headphone or one with a built-in microphone and control button, but Bluetooth devices work very well too. There is also only one microphone, which is located just above the right dummy speaker grille and is used for both phone calls and sound recording. The audio quality captured by it is quite good and even suitable for basic music recording, but the drawback of having only one microphone is, of course, that there is no way to capture sound in stereo without an external microphone. The Rainbow 2 comes with a non-replaceable 2350 mAh lithium-ion battery, but it looks easily enough accessible that it could still be swapped out with a bit of tinkering. The battery life is surprisingly good though and nothing to worry about. You can expect somewhere around 12-18 hours battery life from this phone depending on how heavily you use it – during a marathon install session, I had the screen on constantly and was running lots of programs and still got seven hours out of it until I had to recharge. The standby power consumption is very low – maybe 2-3 % in about 12 hours even with WiFi turned on and two SIM cards inserted. The lack of a replaceable battery might be a bit of a letdown, especially because the similar Hafury Mix does have one, but considering that even high-end phones don’t have that feature, it’s not really a dealbreaker. The only slightly weak point I encountered on the Rainbow 2 is the WiFi antenna, which doesn’t seem to be as powerful as on my other Android devices. I had a lot of trouble connecting to my Speedport router at first and discovered that the phone throws an authencication error when the connection is bad, but getting an older Netgear WiFi router back online fixed this. It could just be my new DSL WiFi router that doesn’t really play along well with the Rainbow 2, but I seem to be picking up a lot less other routers from the neighbourhood with it as well. It’s not a deal-breaking problem, but a mild annoyance that can perhaps be fixed with a better placement of a WiFi router. The actual WiFi speed is excellent if the connection is good and the phone usually hooks up to my faster router with a speed of 65mbps. The Rainbow 2 does not support a 4G LTE phone connection, but 3G works perfectly here in Germany on both the D2 and E-Plus network. I haven’t noticed any connectivity issues compared to my old phones and even in Dual-SIM standby mode both of my phone cards are working well. With the E-Plus network I’m able to get a download speed of almost 7 Mbps and 3 Mbps upload, which is really decent for 3G and should be fast enough for everything this phone can do – including video streaming if necessary. The card slots are both in the MicroSIM format and allow to insert two cards simultaneously with a MicroSD. The usual Bluetooth 4.0 compatibility is also included and works fine with my only other Bluetooth device, a portable speaker. Connecting to my other Android devices also works perfectly and the range is good enough to cover a whole apartment even through thick walls. The Rainbow 2 is also equipped with GPS, but I’ve never seen a receiver as sensitive as on this phone before. While my other Android devices aren’t even able to even pick up the GPS satellites in buildings, the Rainbow 2 is surprisingly working inside too and did not even need an update of the A-GPS list. 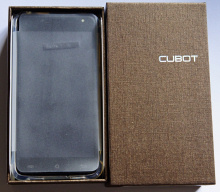 Even though it’s a low-budget phone, Cubot has done the right thing and put Android 7.0 on it – this is not the newest 7.1 release, but has still been patched with the latest security updates from June 2017. An OTA upgrade tool is provided too, so further security updates are not out of the question. Even though Android N isn’t even supposed to work on low-powered phones like this, Cubot has compiled a solid system that’s fast and responsive running on only 1 GB of RAM – the worst that can happen when you have a lot of programs installed is that you have to wait about a second for an app to start up if it’s not already running in the background. Other than that, I have not experienced any lags or slowdowns, but rebooting your phone every two or three days does help to keep it as fast as possible. The Rainbow 2 comes with practically no bloatware – this is a plain vanilla Android 7 that has only the most basic factory apps installed and has no user interface modifications like Huawei or Samsung phones. Apart from a slightly modified launcher, a custom camera app and a wireless updater, there is nothing else preloaded except of course the mandantory Google programs. The system still takes up about 5 Gigabytes, but that leaves about 12 Gigabytes free. As usual, it’s highly recommended to replace the stock launcher and the camera app with your own choices. The Cubot Rainbow 2 does not leave the impression of being low-cost at all – it might not be as powerful as a smartphone ten times its price, but the elegant exterior and the solid hardware make it one of the best low-budget phones available at the moment. The only downsides are the slightly weak WiFi reception, the not quite perfect camera and the lack of 4G capability, but considering the low price ant the otherwise excellent hardware those limitations are worth working around. It’s a perfect entry-level alternative for users who do not want to spend a lot of money on a smartphone but still want a perfect communications device. Disclaimer: I’m not paid by Cubot or any other company for this review. 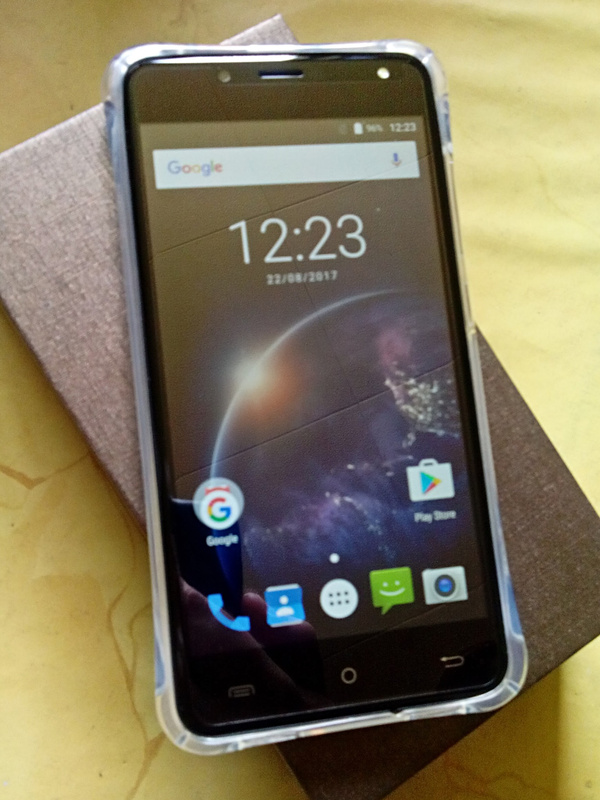 I bought this phone on Amazon.de as a private person and found the product with my own research.